Press Room: Tiny Desk Contest Press releases and more information about NPR Music's Tiny Desk Contest. March 12, 2019  Unsigned bands and musicians can submit videos starting on today through Sunday, April 14 at 11:59 p.m. 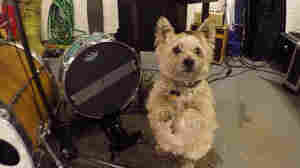 ET at NPR.org/tinydeskcontest. 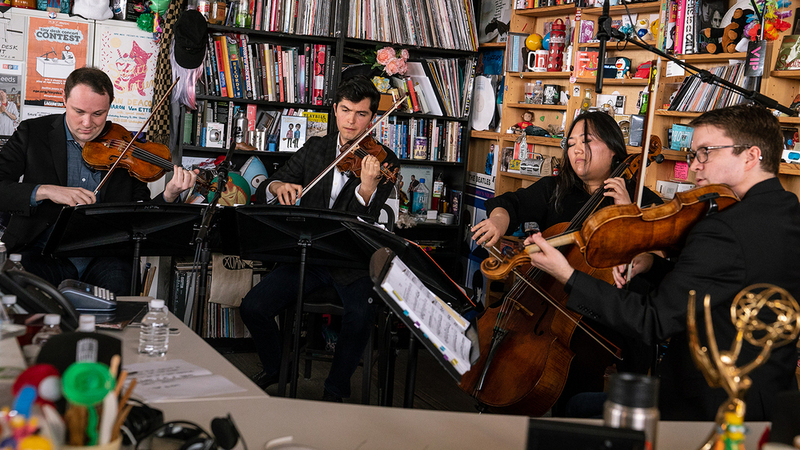 Since its launch in 2008, more than 500 performances have been recorded at the Tiny Desk, NPR Music host Bob Boilen's festive workspace adorned with years of music mementos and memorabilia. 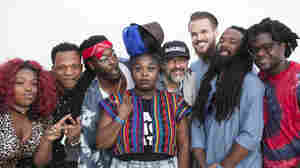 The series has provided a welcoming stage for artists at all points in their career and from across the genre spectrum – including LA hip-hop collective The Internet, 2015 Austin Musician Of The Year Gina Chavez, jazz trumpeter Christian Scott aTunde Adjuah, Irish singer-songwriter Bridie Monds-Watson of SOAK, country favorite Kacey Musgraves, singer Yusuf (Cat Stevens), a cappella vocal quartet Anonymous 4 and Sharon Jones and the Dap Kings. An archive of the entire series is available at NPRMusic.org, YouTube and on Roku via the free, HD-quality Tiny Desk Concerts channel. May 8, 2018  Come on the road with winner Naia Izumi and Lagunitas Brewing Company to discover music by local Contest entrants from across the country. April 24, 2018  Izumi is the fourth winner from the annual NPR Music contest. He was selected as the winning performance from thousands of submissions from all 50 states. June 1, 2017  It's been an amazing ride. And now it's time to say goodbye until next time. 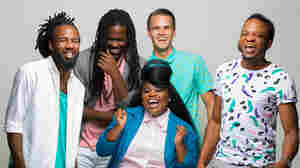 May 5, 2017  Hear the newly released, studio version of "Quick," the song that made the New Orleans-based band the winners of the 2017 Tiny Desk Contest. April 5, 2017  NPR Music celebrates the vibrant music community sprouted from the Tiny Desk Contest by presenting the Tiny Desk Contest On The Road tour fueled by Lagunitas Brewing Company. 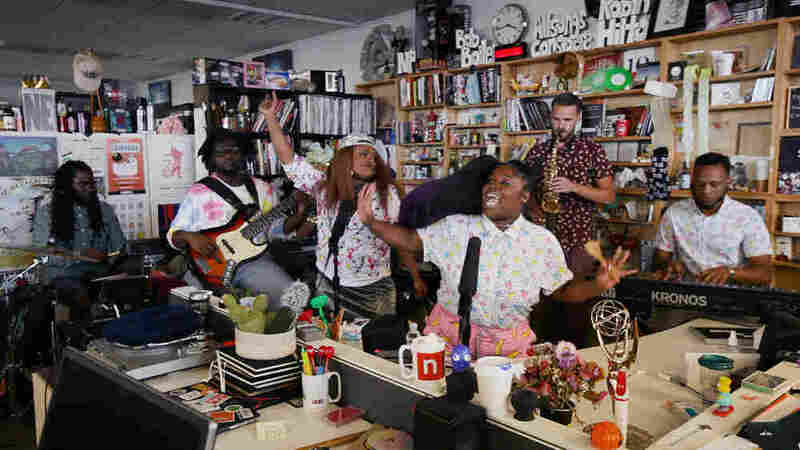 February 28, 2017  New Orleans' Tank and the Bangas wins NPR Music's 2017 Tiny Desk Contest, earns performance at the iconic stage at NPR HQ in Washington, D.C.
February 28, 2017  More than 6,000 entries later, we have our champion. Watch the joyous video that won over all 10 judges unanimously. February 13, 2017  This year, more artists submitted Tiny Desk Contest videos than ever before — and those videos were filled with furry friends. Watch the supercut, then vote for your favorite pup. January 13, 2017  Enter by Jan. 29 for a chance to play your very own Tiny Desk concert at NPR in Washington, D.C. 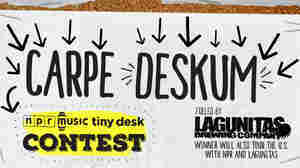 The Tiny Desk Contest Is Back! December 13, 2016  Send us a video of you or your band playing an original song behind a desk of your choosing. You could win a chance to play your own Tiny Desk concert. 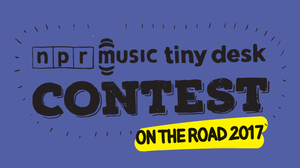 April 1, 2016  We're taking the Tiny Desk Contest experience on the road! Kick-off event is April 19, 2016. March 3, 2016  NPR Music announces Minnesota's Gaelynn Lea as the winner of the 2016 Tiny Desk Concert Contest, a search for a great undiscovered, unsigned musician. 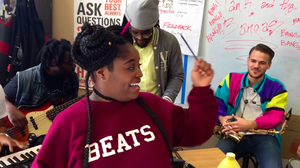 January 12, 2016  NPR Music is bringing back the Tiny Desk Contest for a second year. 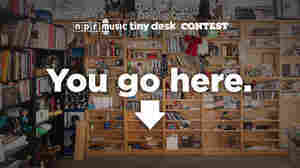 Submit entries Jan. 12 - Feb. 2, 2016 at npr.org/tinydeskcontest. 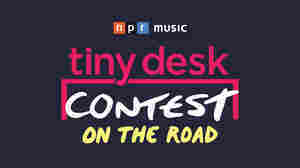 January 12, 2016  Enter by Feb. 2 for a chance to play your own Tiny Desk concert at NPR in Washington, D.C.
Dear Unsigned Musicians, Want To Perform An NPR Music Tiny Desk Concert? 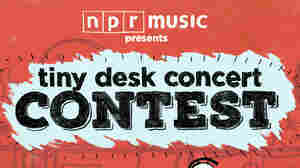 December 15, 2015  NPR Music is bringing back the Tiny Desk Contest for a second year. 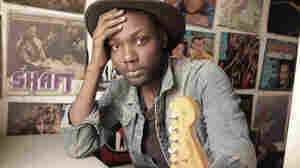 Submit entries Jan. 12 - Feb. 2, 2016 at npr.org/tinydeskcontest. March 9, 2015  Blues-rock musician Fantastic Negrito won NPR Music's first-ever Tiny Desk Concert Contest in February. Now, watch him perform at the renowned workspace-turned-stage. February 12, 2015  NPR Music today announces Oakland-based black roots artist Fantastic Negrito as the winner of its first-ever Tiny Desk Concert Contest, a search for a great undiscovered, unsigned musician. December 2, 2014  Want to play at the most famous desk in public radio? Enter the Tiny Desk Contest by submitting your YouTube video of an original song today through Jan. 19, 2015!